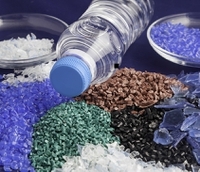 15 Jan 2019 --- The pan-European plastics sector will be the hardest hit in the event of a “no-deal” Brexit, experts are warning. The UK Parliament will vote on UK Prime Minister Theresa May’s EU Brexit deal later today. MPs are widely expected to vote against the proposed deal, increasing the likelihood of a “no-deal” Brexit. As the historic vote looms large, PackagingInsights asks what a “no-deal” Brexit could mean for the European packaging industry. He noted how major companies with pan-European operations such as DS Smith have already flagged up their concerns about continuity of supply and logistics. “So much of the industry is now a network of interfaces which depends on efficiency and smooth operational transactions,” he says. “While contingency planning has already been put in place, it will still have a big effect if a ‘no deal’ Brexit is the outcome,” Farmer explains. In June 2018, DS Smith lamented that its expansion plans in the UK market had been “heavily scaled back” due to the ongoing uncertainty around Brexit. “We are seeing a number of our customers either delay or, in some cases, move investment decisions overseas because of the uncertainty,” DS Smith Chief Executive, Miles Roberts said at the time. “We’re still growing in the UK, but there is no doubt Brexit affects our plans as well. We don’t have any major expansion plans in the UK. Over the years we’ve put in quite a lot of money, but since all this uncertainty our plans have been heavily scaled back in response to our customers,” Roberts continued. “We need clarity on the future UK/EU relationship before we can really think about major investments in the UK,” he added. Farmer believes that the effects of a “no-deal” Brexit on the UK packaging industry could be severe. He envisages the cost of imported raw materials rising, the need for renegotiation of supply contracts, delays in goods arriving into UK factories from crowded ports and frustrated customers left waiting for delayed deliveries. “It is logical to conclude that, in the event of a ‘no-deal’ Brexit, there might be a need for shelf-life enhancement and extensions [due to delayed delivery times],” Farmer says. According to Coles, short shelf-life food such as fresh, chilled produce, chilled dairy products, juice/juice drinks and many other perishables, including fresh chilled fish and seafood, meat and poultry, will be the worst affected. “Delays will also be of concern to other sectors particularly those delivering time-temperature sensitive products, such as pharmaceutical drugs and vaccines,” Coles says. Responses could include more investment in automation, warehousing, transport and resource efficient logistical packaging, for example, “right-size” laser-cut corrugated packaging for e-commerce. “Also expect an increase in the adoption of innovative packaging that helps reduce costs and extend shelf-life, for example, enhanced thermal insulation for chilled products and active and intelligent packaging solutions,” he adds. At the same time, Farmer believes that the ongoing substitution of materials from poorer grade plastics to superior performing plastics (materials with better oxygen, moisture and UV barriers), and the substitution to other more environmentally friendly materials, will mean that extended shelf-life capabilities occur as a natural progression. The supply chain and sourcing of packaging materials will also be hit hard in the event of a “no-deal” Brexit, according to the experts. “This is across the board and could affect all imported plastics and polymers, cartons and paperboard, metal packaging and more,” says Farmer. “Products for FMCG, particularly food markets including chilled and fresh products are most at risk,” Farmer says. “Other items that are traditionally packaged and sold in longer life and ambient packages will not be so vulnerable in the short term. However, if the disruption continues these could also be affected,” he notes. Coles sees plastics as being particularly hard hit in the event of a “no-deal” Brexit because they are one of the UK’s top ten imports and exports with continued strong market growth over the past decade. In addition, Coles warns that there are implications for skills and labor availability in the UK packaging industry as around 15 percent of the workforce is non-nationals. A major potential impact is adverse implications to the export of UK food and drinks for UK packaging suppliers. A recent research report by the UK Trade Policy Observatory shows that UK food and drink exports may decline in value by between 6.9 percent and 38.4 percent depending on the eventual Brexit outcome. “Trade declines of this magnitude would cause very significant cascade effects to the rest of the UK economy. Corrugated packaging would undoubtedly be affected,” Coles explains. “However, there is a steadily growing market demand for more domestically produced British food, which is positive news for local food processors and packaging suppliers. With potentially higher prices of imported goods from the EU, this trend could be further stimulated by Brexit so creating business opportunities for both the local agri-economy and UK packaging suppliers,” he adds. The results of the parliamentary vote on Theresa May’s proposed Brexit deal will be revealed today. In the likely event of a “no vote,” the pan-European packaging industry will be increasingly concerned about whether a “no-deal” Brexit can ultimately be avoided, with several weeks of uncertainty likely to follow. “It's in the interest of the whole country that we do not have a ‘no-deal’ Brexit. Let's hope sanity and common sense prevails,” Farmer concludes.